Purchase a minimum of RM100 in a trisection entitles for 1 entry. SMS "BATA<space>Unique code#NRIC" to 33655. 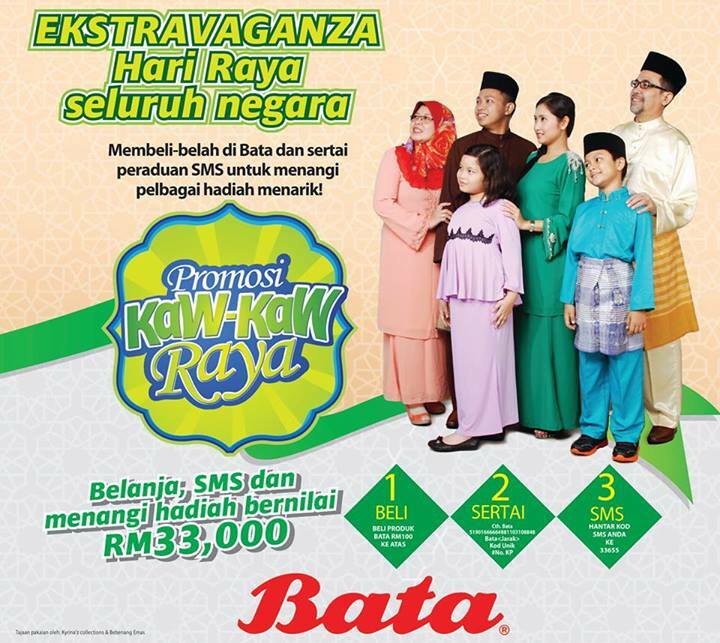 Visit Bata website for more details.